Transmac – Transportes Urbanos De Macau, S.A.R.L. 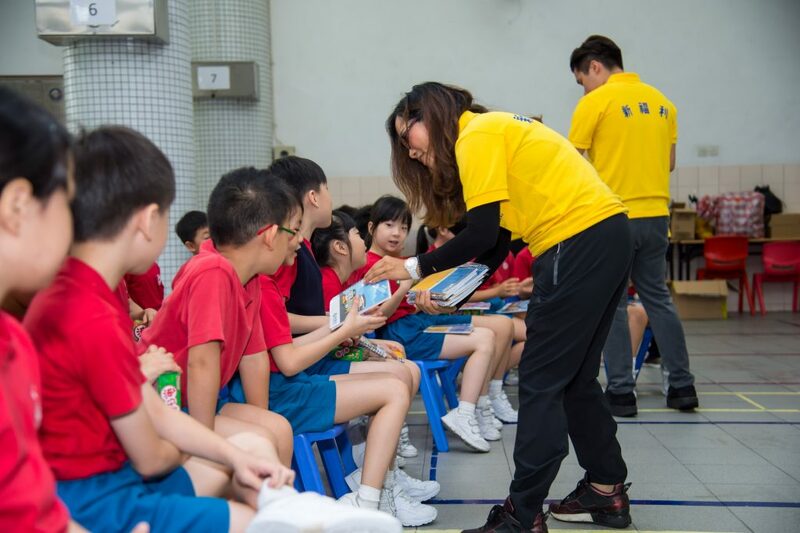 organized the Fun Bus Trip at Pui Ching Middle School between June 20 and 21, 2017. This is the third time the activity has been held. 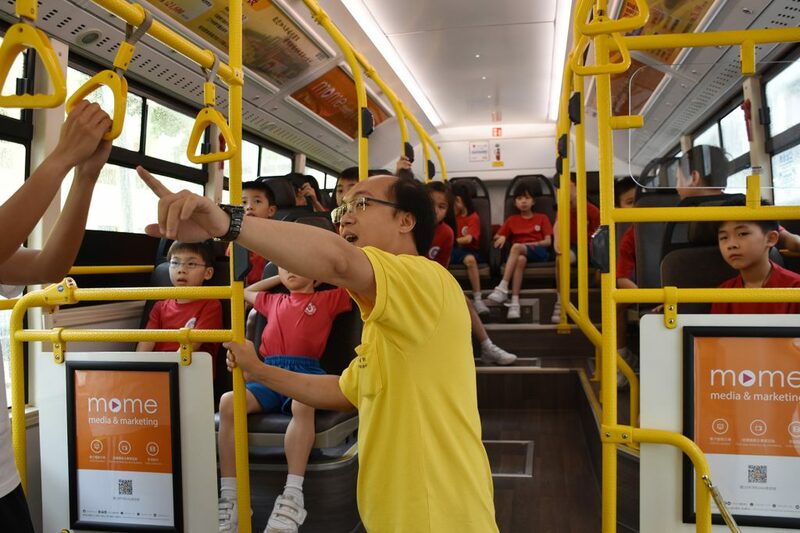 It aims to promote public transport etiquette and share safety tips for using public transportation, and to allow students to have a better understanding of bus services and to foster better citizens and passengers. The activity was carried out over two consecutive days. 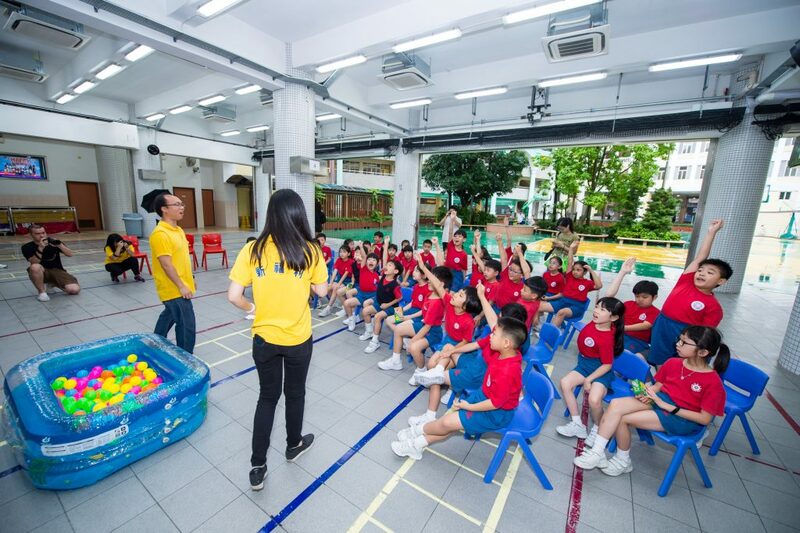 A total of 210 pupils from Pui Ching Primary 2 were divided into two groups to take part in the event. Curious and excited pupils first boarded a specially decorated bus in the morning. 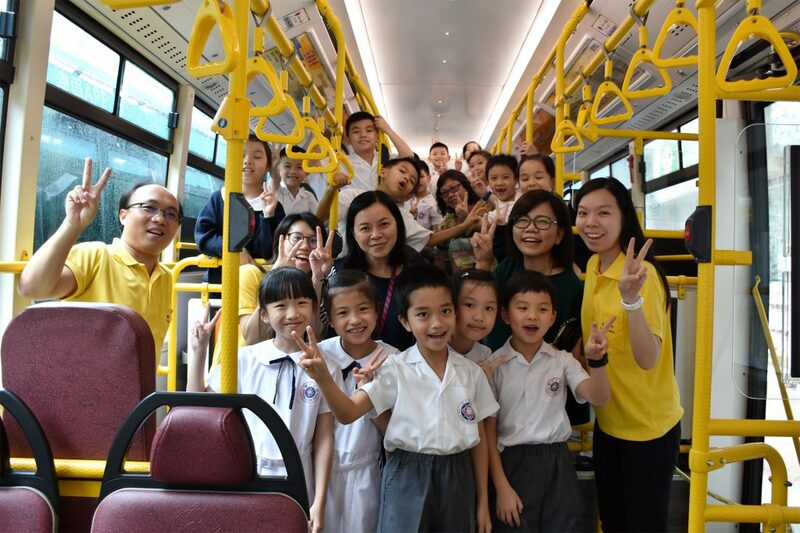 Throughout the journey, the pupils were keen to ask questions about the facilities on the bus, while Transmac staff members answered them attentively, and reminded them of the rules on a bus. After listening keenly to the Transmac representatives, the pupils also demonstrated what they had learned. The short bus trip thus became a lively civil education class. 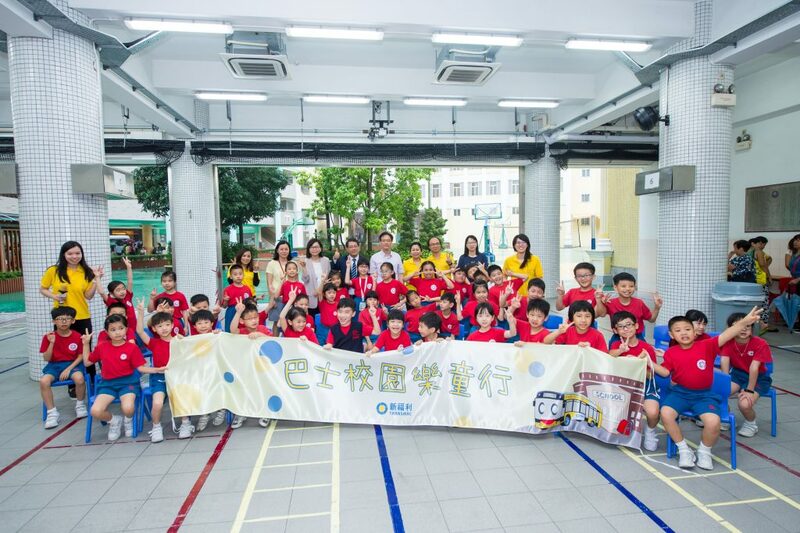 The bus driver said the pupils were energetic, and praised them for their eagerness to learn, while some of the pupils said they wanted to become bus drivers in the future, with their classmates as passengers. A quiz with prizes was arranged after the bus returned to the school. Pupils were asked to share their knowledge regarding public transport etiquette based on a picture. All participating pupils played enthusiastically, and were given a stationery kit. 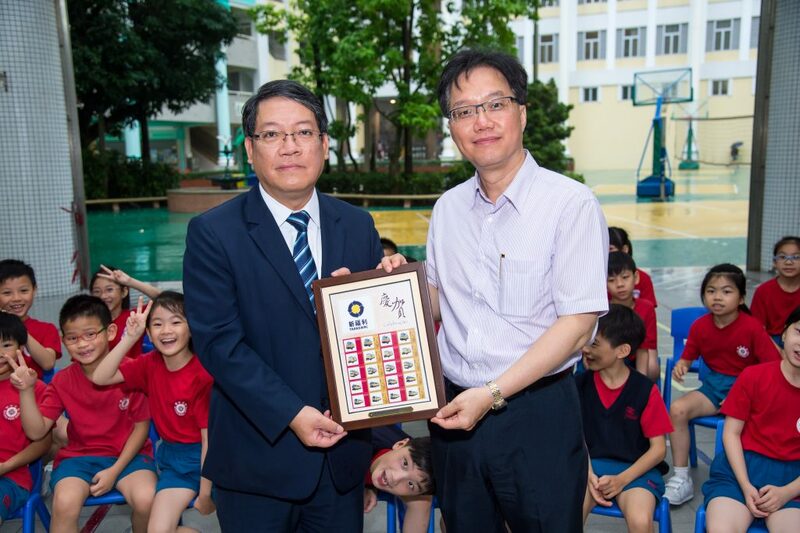 Meanwhile, Transmac representative, Mr Kuan Weng Kai, presented a souvenir to the Principal of Pui Ching Middle School, Mr Kou Kam Fai, to thank the school for participating in the activity. The Fun Bus Trip is part of a series of events to celebrate the 65th anniversary of Transmac. The Company will organize more activities in the second half of the year to share the joy of the anniversary with residents. The activities also allow residents to better understand the bus services provided by Transmac and the fun of travelling on public transportation.